There are a majority of businesses and homes that have multiple utility meters to record energy usage in different buildings or groups of buildings. This poses as a challenge to install a solar panel. As per the present Net metering Rule for solar in Florida, each utility meter is treated as an individual customer. Irrespective of whether your business entity is same or different, the utility company will charge you separately on the usage of each meter. Net metering refers to the fact that when you connect solar panels, you are only billed for the net electricity you use in any given billing period. Also, you won’t like to “over-produce” on any given meter annually because in that case, you’ll only be offered the “wholesale” rate, which will eventually reduce your return on investment. Thus, it is advised that on any given meter, solar panel production matches the consumption. However, that is practically a big challenge because you just can predict the energy consumption as its usage varies over time. One might come up with the idea of asking the utility company to combine the billing on all of your meters. Alas, there is a law against Conjunctive Billing (FAC 25-6.102), established Florida Administrative Code in 1969 with an aim to protect the consumers and utilities both. Otherwise practices like additive billing, conjunctive billing, etc., would allow having a single aggregated bill of all the meters of a business entity. On the one hand, separate utility bills allow customers get a fair idea of the energy usage of each and every facility, while on the other, it also benefits utilities by allowing them to charge for every meter. This covers any fixed cost they incur, like the administrative and equipment costs. Moreover, with the evolution of computerized billing and smart meters, things have become easy, and the conjunctive billing rule is now out of the game! 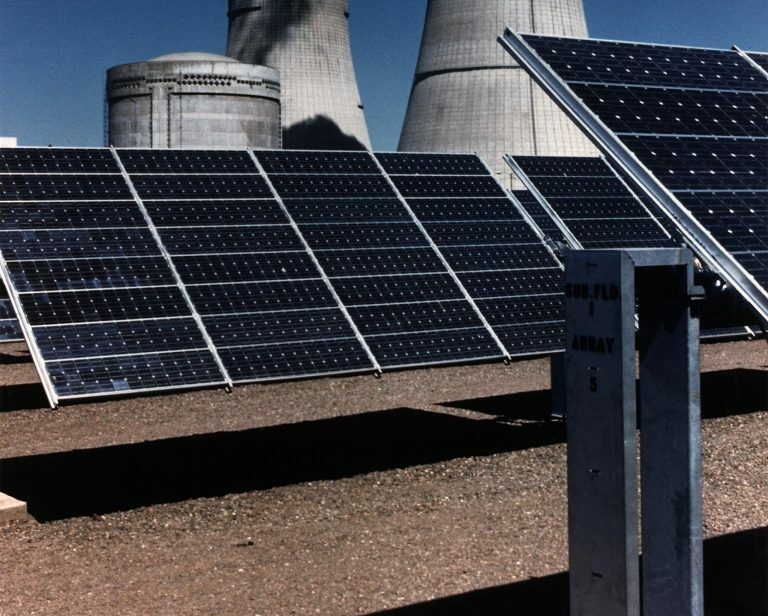 The first and the lowest initial option is to size the solar arrays to estimate the usage of solar energy in Florida on each meter and connect systems accordingly. This option is good in cases where you can rationally forecast annual energy usage on every meter. However, there can be challenges like the size of available roofs don’t correspond to the proportional energy use of that building. In such cases, you might need long trenches and wire runs to achieve balance and maximize energy offsets. The second option is to combine all of a facility’s meters into a single meter. This may lead to major upfront cost, but often that can be compensated by reduced customer charges. This also offers you a great opportunity to maximize energy offsets without “over-production” on any given meter. However, as a con, you won’t be able to determine energy usage from specific buildings, but you can always monitor that in other ways too. The best part if, paying and accounting become super simple. Is It Legal to Have Multiple Meters? Now the biggest question that must be popping up in your mind is, “Will the utilities allow me to compline meters? Is it legal?” Well, fortunately, the answer is yes, but at your own cost, of course! If your facility (home or business) is one a single legal parcel or adjacent parcels, there shouldn’t be an issue. It is the duty of the utility company to provide a “customer” with a single point of service if desired. So, these are the two options and depending upon your facility and situation; you can go for the option that suits best to you. Some states do allow, and even the efforts are being done in Florida too to allow conjunctive billing across sites owned by a single legal entity. Just imagine having one large headquarters in Florida with enough solar panels to cover your entire company’s energy use, wouldn’t it be great to offset your total energy usage and be billed accordingly? We just wish this happens soon! Well, for now, every site is required to have an individual solar panel to offset energy use on individual meters. If you have multiple meters at your facility in Florida, just collect them all and contact a solar expert in Florida, Mimeos Energy, for the best professional advice. They are the best to guide with the best of the options. If you are planning a new site that is expected to incorporate solar panels in the future, having a single point of service will help you maximize the benefits of solar and increase your total return on your solar investment. We also suggest that to ensure that your home is 24 hours powered up by solar, installing a solar battery storage system is the best. Seek help from one of our solar experts in Florida.